High school is an exciting time for families as they prepare to complete the home schooling journey and launch their children into college success. But it can also be an anxious season, as parents wonder how to get their children into universities and make sure that their kids are truly prepared for the rigors of undergraduate academics. To get ready for college, many home school students decide to earn college credit in high school. An amazing thing about home education is that it frees families to explore a number of options. 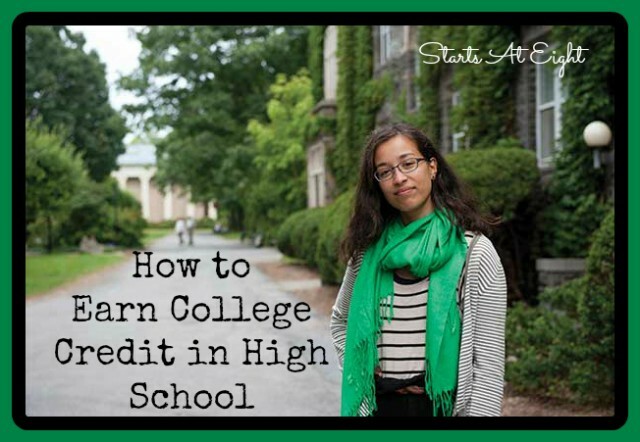 Here are some great examples of this with three alternative ways for students to head start their college experiences. Advanced Placement courses, commonly referred to as AP courses, allow high school students to enroll in a few more rigorous class offerings in order to earn college credit. Near the end of the spring, AP students take standardized exams which determine whether their courses will count as college credit. Literature, history and science are the most common subjects in which to choose an AP course. studying the material at home and arranging to take the exam at a local high school. AP scores are a great way for homeschool students to demonstrate their ability to prospective colleges. And as an added bonus, they will earn a few units to take with them into their degree program. Why Not Enroll in a Real College Course? While taking an AP exam for college credit works out alright, many home school students decide to just enroll in a real college class instead. In some states, one semester at the college level counts as a full year of work in high school. So students ready for the level of coursework, often choose to kill two birds with one stone. By taking one semester of Spanish at a local college, a student can simultaneously earn units to transfer when they graduate and complete a full year of their language requirement for high school. Community colleges and online programs, like South University online, serve as excellent schools to enroll in for a single class. And along with earning double the credit, students will also have the opportunity to experience and adapt to a college campus. Especially ambitious students might even spend their junior and senior years completing their undergraduate requirements. Image graduating high school and finishing your first two years of college at the same time! With these fantastic options, homeschoolers can not only feel ready to enter college, they can also prove it by earning real college units while still finishing high school. Jessica Socheski is a freelance writer who loves researching higher education. She also edits The Teaching Box, and you can find her on Google+.